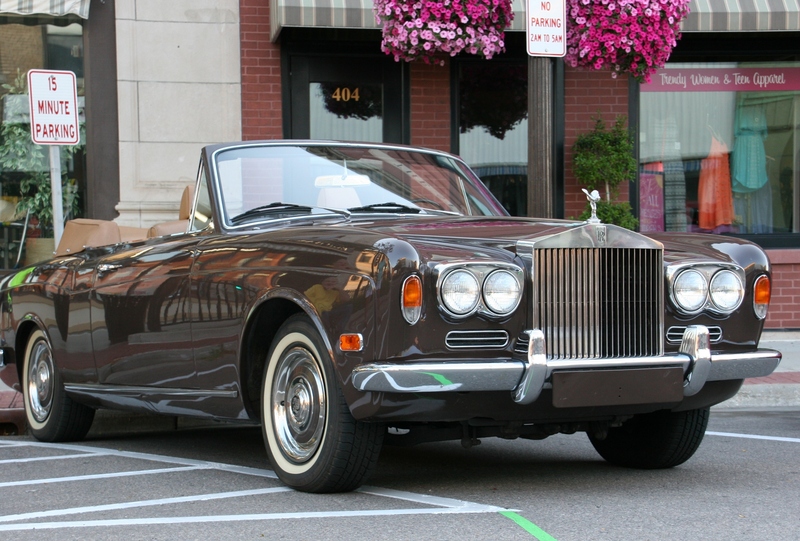 The Rolls Royce parked in downtown Faribault Friday evening for the Car Cruise. YOU NEVER KNOW WHAT YOU may see at a car show. At Friday evening’s Faribault Car Cruise Night, it was the 1970s Rolls Royce parked on the corner of Fourth Street/Minnesota Highway 60 and Central Avenue that drew lots of second looks. One group even posed for photos. 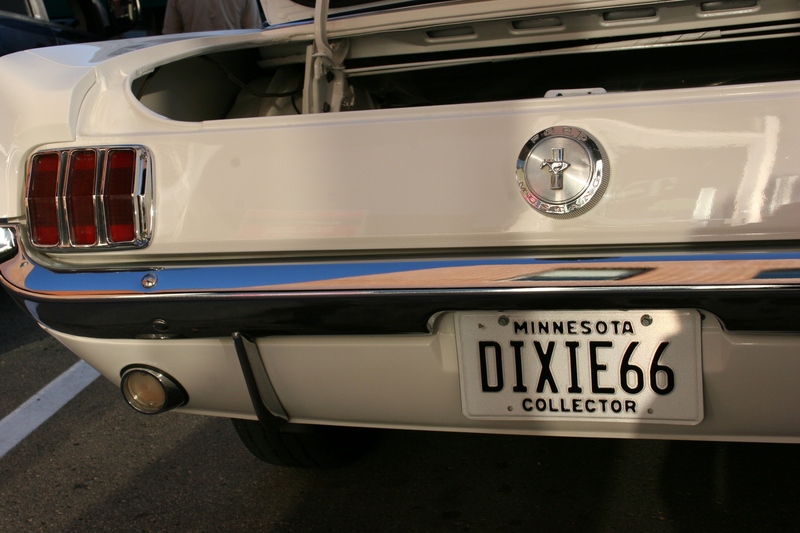 The owners, whose identity I did not ask, take the car to the occasional car show and on Sunday afternoon drives. I expect if you own a Rolls Royce, you are selective about where you drive. Typically, this dog’s behind is attached to the back of the truck. But on this evening, it was resting on the roof. This made me laugh. 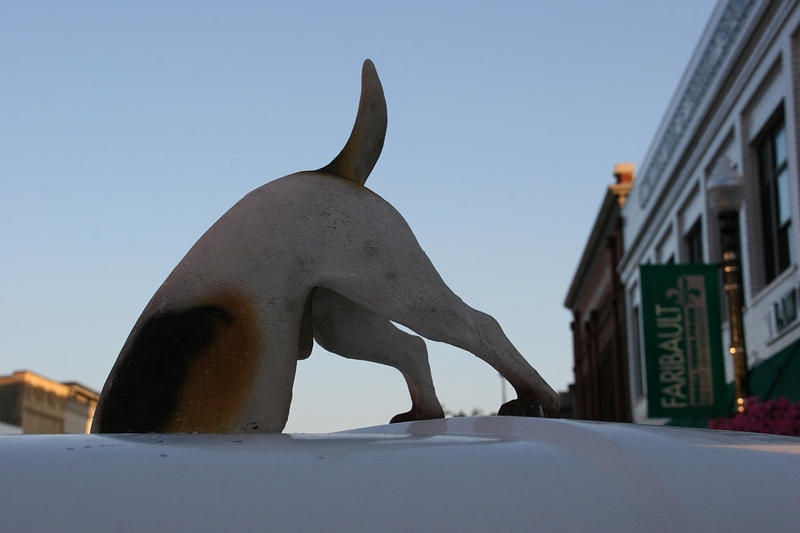 While the Rolls Royce rated riveting royal attention, the behind of a dog attached to the roof of a truck did too. Except it seemed more fitting for the jester’s court. No one was photographing that except me. 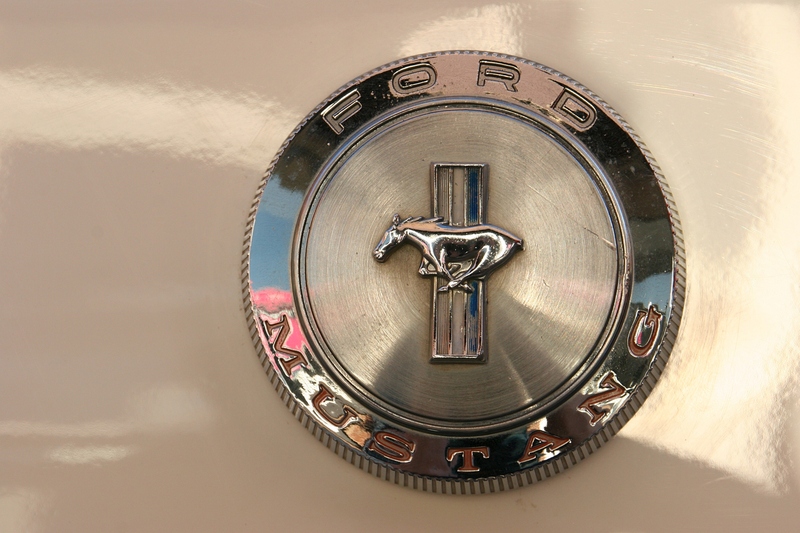 Zooming in on the details, a Mustang emblem. I often focus on details as much as the overall scene to tell a story. An event is like a book. There are letters within words within sentences within paragraphs within chapters, between the covers. Without one, there is nothing. 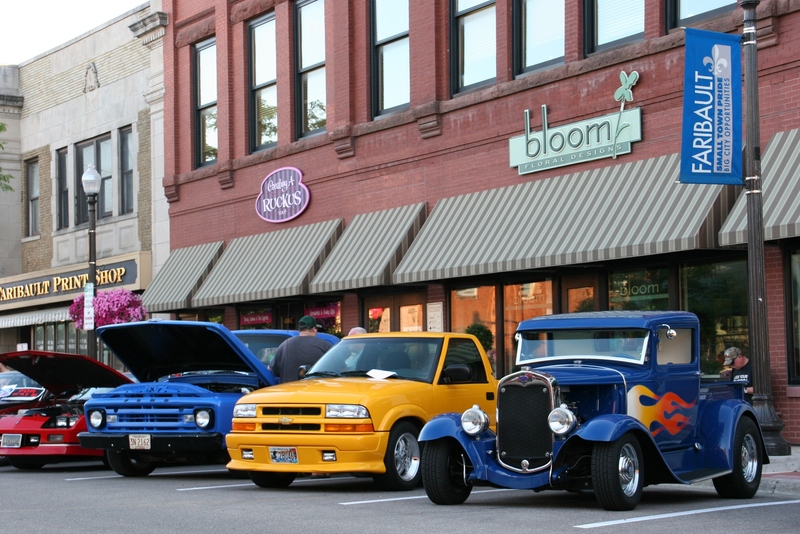 Vehicles lined one block of Central Avenue. Interested in what’s under the hood? 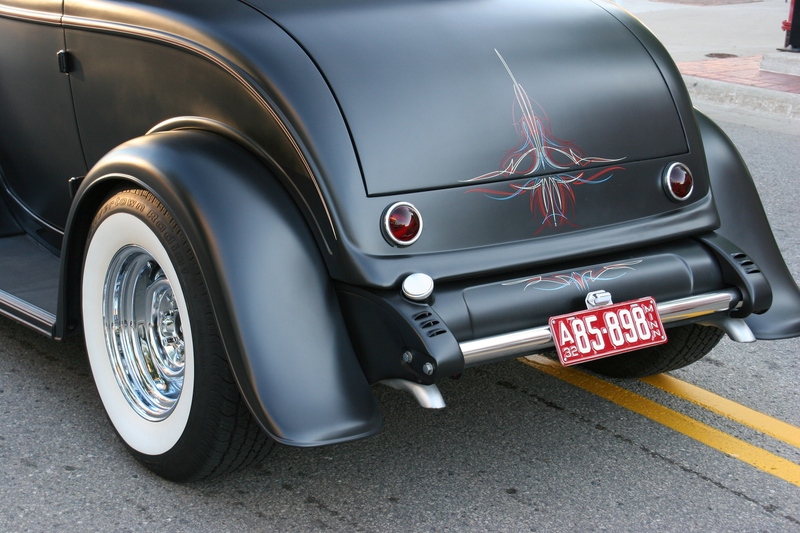 Many hoods are open at car shows. 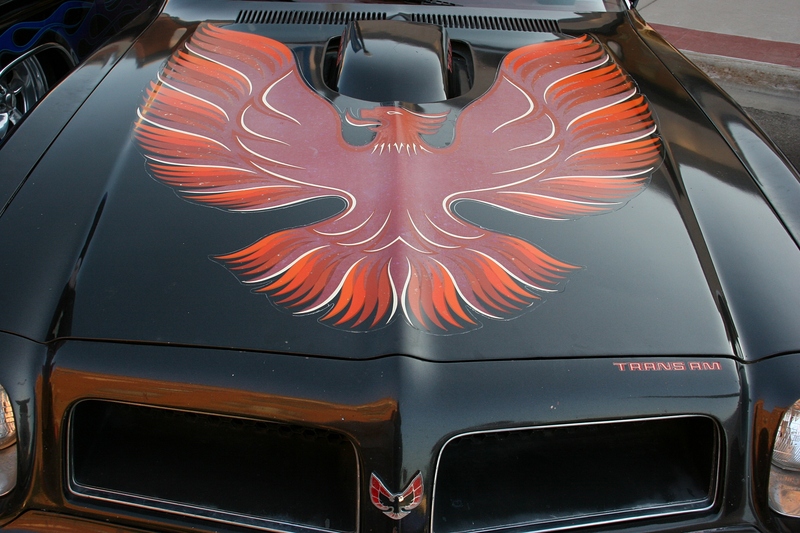 Art on the hood of a Pontiac Firebird. 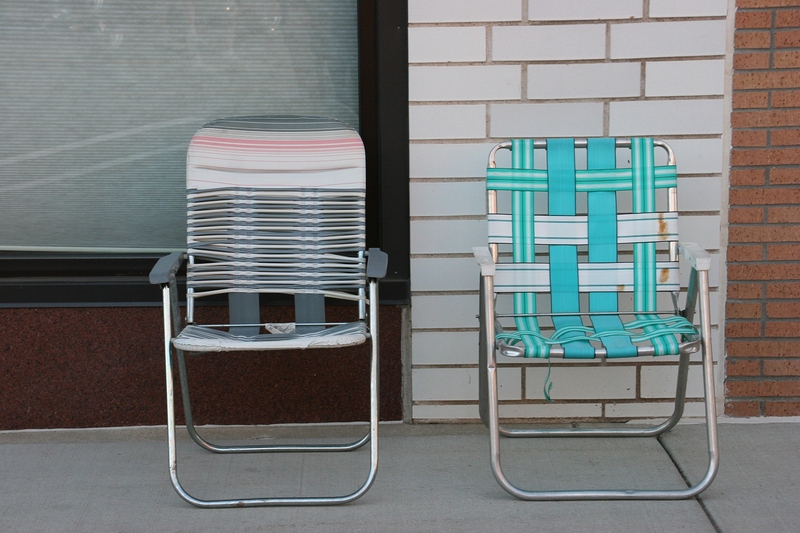 Car cruise participants typically bring lawn chairs and sit near their vehicles. More car art, this time on the trunk. 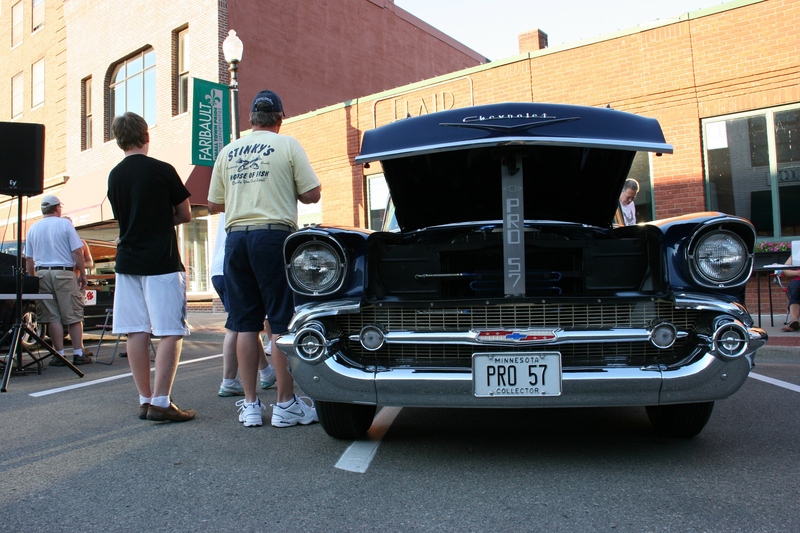 FYI: Click here to read my first post on the July 17 Faribault Car Cruise Night. 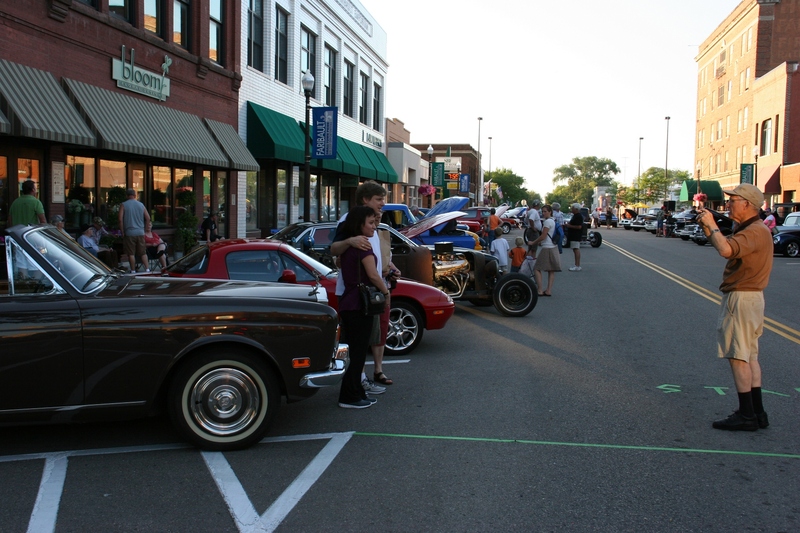 The final Cruise Night of the season is slated for 6 p.m. – 9 p.m. Friday, August 21 on Central Avenue in historic downtown Faribault.